Miles and I came out a night before BACON3 ( the biggest, baddest, bestest, fabulousest, est on estest Blogger conference in the world) and needed a hotel for a night. We thought we’d take the opportunity to check out the Grand Hyatt Washington D.C. I was in D.C. earlier this year, for NYE to be exact, and stayed at the Park Hyatt Washington D.C. and used a suite upgrade and was very excited to check out how the Grand Hyatt compares. I thought the hotel recapped the location and offerings quite well. Grand Hyatt Washington is the ideal place to start your D.C. adventures as well the spot to return to after they’ve come to a close. Our hotel is located in the celebrated Penn Quarter neighborhood, just moments away from CityCenterDC. See top sights, from The White House to museum after museum, or traverse the city’s rich dining and nightlife scene. While at the hotel, dine at the signature restaurant, grab brunch, or sip Starbucks® coffee. Access the FIT Club next door and work out or swim laps in the pool. If you’ll be working during your stay, we offer a fully equipped FedEx® Business Center. Whatever brings you to Washington D.C., we’re here to help you experience it all. I arrived around 9pm to a large, grand, atrium styled lobby. While the hotel is very nice it does feel a bit aged, but very well kept. Diamond status was recognized, and I had my rooms keys quickly. No additional upgrade was given from a club king room which is guaranteed with Diamond status. Although, I have to say, getting what would be close to a $500/night room, for 7500 and $115 with taxes is a pretty stinking good deal. Also – if you have club access and need to print do so. It costs 20 cents a page at the Fedex center downstairs. I needed to print a 60 page script and it saved me some lunch money. Another perk of having Diamond status is the ability to opt for breakfast in the restaurant. It will cover the guests who are officially registered to the room. This time it was just Miles and I. But it was INNNNNNNCRED! omelette bar – she did an amazing job! And then the damage! OH MY GOOOOODNESS!!! This breakfast was absolutely fabulous. And Free. The fitness center and pool are actually located just outside the main lobby of the hotel. I had a great experience at the Grand Hyatt Washington D.C. I was only here for a day, but was able to take advantage of the club lounge, diamond breakfast, and fitness center. The location is great, and the price couldn’t be better…I mean 7500+$100 is a great deal. Since it’s a category 4 hotel it also qualifies for redemption with the Chase Hyatt credit card and I think this is a great value considering the card only carries a $75 annual fee. Even without the club and diamond breakfast the rooms are big and nice, and the location is very central with both metro and citycenterDC nearby. Comparing it to the Park Hyatt Washington D.C. The Park Hyatt feels far more intimate and luxurious. Although, I have to say that I prefer the Grand Hyatt’s location and proximity to shopping and sites, the Park Hyatt plants guests in a quieter, more residential neighborhood. Comparing amenities…I think the Grand Hyatt actually offers better breakfast and a club lounge which the Park Hyatt doesn’t. When it comes to rooms – the Park Hyatt absolutely kills the Grand Hyatt. It’s not an equal comparison as I had a large suite at the Park, but the the quality isn’t the same, which makes sense seeing as the Park is the premium brand within the Hyatt chain. Either way, I think you’ll be very happy, especially if you land a cash and points rate. 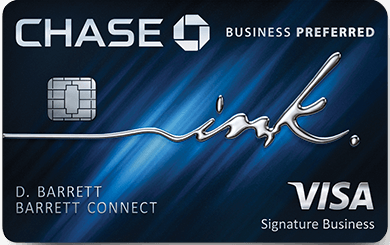 Don’t forget…you can Transfer Chase Ultimate Rewards to Hyatt Gold Passport…er World of Hyatt soon at a 1:1 ratio. Previous Article Review: Balmoral Afternoon Tea Edinburgh – Don’t miss it. Timely review! I’ll be staying here in 2 weeks. Glad to know you can choose to eat in the restaurant instead of the lounge as a diamond. Is there a dollar limit or it it just a buffet ?